In our preschool program, we lay the foundation of a child’s future by building self-awareness and confidence. Our learning environment is a balance of academic and developmental skills while providing a comfortable environment that is stimulating for each child. Our teachers provide guidance and support in order for your child to grow socially and emotionally. 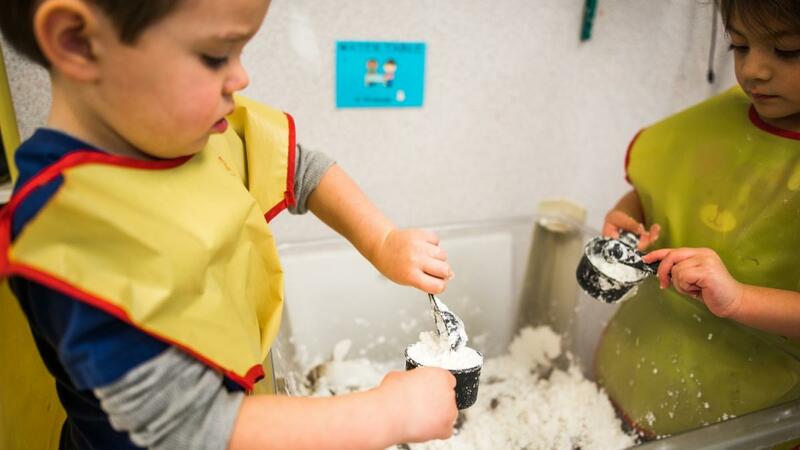 We do this by providing developmentally appropriate activities such as free play, small and large group activities, discovery, art, science and large motor activities. While learning through play, your child is sure to have fun! We lay the foundation for a child’s future by building upon their skills, confidence and self-awareness in a comfortable and stimulating environment. Our day consists of academic and developmental activities that promote the growth of the whole child by using a hands on approach and learning through play.